With free mobile banking, Grand Rivers Community Bank goes wherever you go. Access your accounts at your convenience, from almost anywhere, 24/7. This secure service works with your web-enabled Apple® or Android™ device. With just a few taps to your screen, you can check your balance, deposit checks, and more. 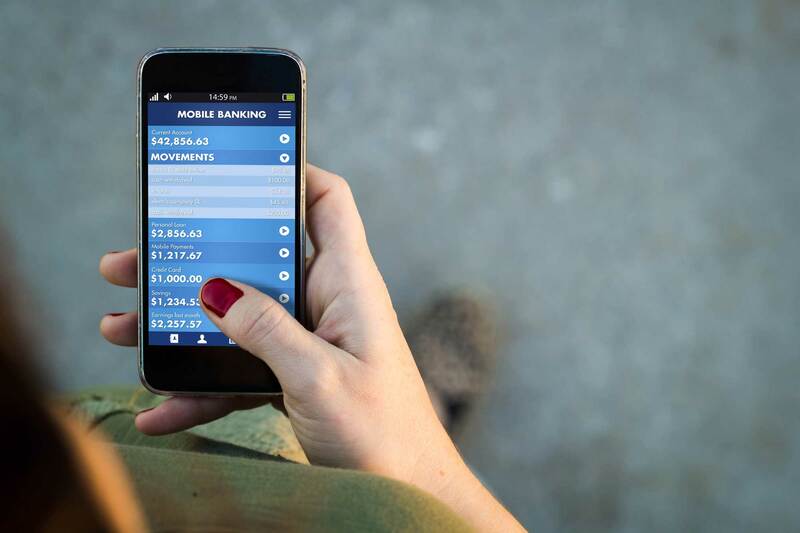 It's easy to bank on the go via your mobile browser, text message, or the TouchBanking app. Download the free TouchBanking app today! Sign up for Mobile Text Banking within your Online Banking account. You can send a text command to get your balance or transaction history. You will receive a text message directly to your SMS-enabled phone device. Get full and extended mobile banking capabilities on your web-enabled device. Receive an optimal banking experience with a look and feel that is similar to PC-based online banking, in a site designed to fit neatly into your device's screen. You can sign up within your Online Banking account. Include text message alerts to your Mobile Banking device when signing up for the Mobile Text Banking. Choose how and when you want to be notified of changes to account balances and personal information. 1Is there a charge to use the app? There is no charge to use the app. 2Which smartphones work with the app? It's compatible with Apple and Android mobile phone devices. 3Where can I download the app? You can download the app by searching for Touch Banking in your iTunes or Google Play store. 4Do I have to be enrolled in Grand Rivers Community Bank online banking first? 5What do I need to do once I download the mobile app? Enter the App Code-GRCB1902 and your Username, then you will be prompted to enter your password. 6Do I have to release any personal account information? You're not required to enter any account or routing numbers to set up the app. 7Once I download the app, will it require regular maintenance? You will only need to update the app if there is a new version available. 8How do I change my password? Online banking customers simply change their password through Online Banking and use the new password for the app or they can call 618-634-2002, ext. 5000 to reset a password. 9Is my account information only updated once a day? Your account information is refreshed via real-time updating. 1Is there a fee to use Mobile Check Deposit? There is no fee to use the Mobile Check Deposit feature. 2What is the cut off time for making deposits thru Mobile Check Deposit? Deposits received before 4:00 pm Central Time on Monday-Friday (excluding bank holidays) will be considered as deposited on that day. After 4:00 pm deposits will be on the following business day. 3When will my funds be available for checks I deposit thru Mobile Check Deposit? Funds are generally available the next business day after the day of deposit. See applicable cut off times, stated above. 4Is there an endorsement requirement for checks I deposit thru Mobile Check Deposit? Checks need to be endorsed with your signature and "For Mobile Deposit Only". 5Is there a dollar amount limit of checks I deposit thru Mobile Check Deposit? Yes. Checks must be $1 or greater, but no larger than $500.00. Your total daily limit is $1,000.00. If you want to deposit a check larger than $500.00, you will need to contact the bank to request your limit to be temporarily raised. This must be done before you attempt to deposit the large check. If you attempt to initiate a deposit in excess of the limit, we may reject your deposit. 6What do I do with the paper check after I've deposited it thru Mobile Check Deposit? Once the check has been accepted for Mobile Check Deposit, keep the paper check in a safe place for at least 90 days. After this time, after you have confirmed the funds are deposited, you can shred the check or mark it as VOID. 7How will I know if my check/deposit is accepted thru Mobile Check Deposit? Once the deposit has been made, the deposit will be listed as "Pending". You can check your Deposit History the next day to view if it has been accepted or failed. 8What types of checks are not accepted for Mobile Check Deposit? • Checks payable to any person or entity other than the person or entity that owns the account that the check is being deposited into; person or entity other than you. 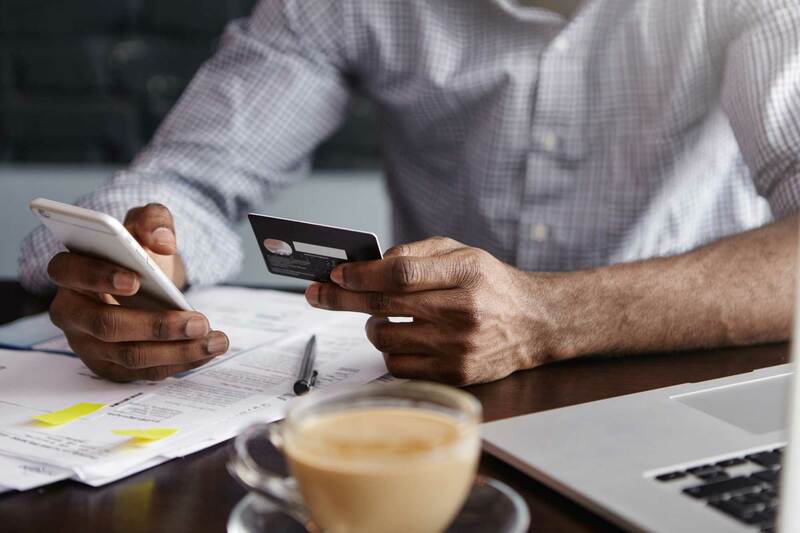 • Checks containing an alteration on the front of the check or item, or which you know or suspect, or should know or suspect, are fraudulent or otherwise not authorized by the owner of the account on which the check is drawn. • Checks payable jointly, unless deposited into an account in the name of all payees. • Checks previously converted to a substitute check, as defined in Reg. CC. • Checks drawn on a financial institution located outside the United States or not payable in United States currency. • Checks that are remotely created checks, as defined in Reg. CC. • Checks not payable in United States currency. • Checks dated more than six months prior to the date of deposit. • Checks or items prohibited by GRCBs current procedures relating to the Services or which are otherwise not acceptable under the terms of your GRCB account. • Checks payable on sight or payable through Drafts, as defined in Reg. CC. • Checks with any endorsement on the back other than that specified in this agreement. • Checks that have previously been submitted through the Service or through a remote deposit capture service offered at any other financial institution. •Why would my deposit reject thru Mobile Check Deposit? 9What type of accounts are deposits accepted for thru Mobile Check Deposit? 10What is the daily limit for deposits? The daily limit is up to $500.00 per check. Your daily total limit is $1,000.00.